Shingle Roofs | Your #1 Roofing Company in West Palm Beach, Boca Raton, Treasure Coast, Florida. Shingle roofs are the most economical type of residential roofing system. 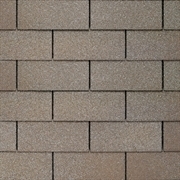 Ashphalt Shingles come in a basic 3-tab single and a dimensional architectural shingle. Shingles contain a strip of factory applied adhesive that is activated by the sun's heat after installation and seals each shingle. 3-Tab Shingles have been around for a long time. They are produced in a single layer and have three tabs that are exposed along the length of the shingle, offering basic protection for projects on a limited budget. It’s easy to tell 3 tab shingles by their FLAT look and any inconsistencies in the roof deck will show right through to your finished roof. 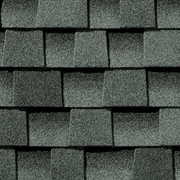 Dimensional or architectural shingles have become the most popular shingle roof choice for today’s homeowners. Quickly replacing the traditional 3 Tab shingle. They are produced in multiple layers providing better wind resistance.These type of shingles help hide deficiencies such as depressed or bowed wood and an inconsistent roof deck surface that has perhaps been repaired many times. For any GAF shingle roof installed, RoofPro will provide a System Plus Warranty upgrade at no additional cost.